Today, the cybersecurity firm ESET ushers in a new generation of enterprise security products and services, bringing its 30 years of expertise to market at RSA 2018. The standouts in the latest suite of enterprise offerings include the all-new ESET Enterprise Inspector, an Endpoint Detection and Response (EDR) solution with features and granularity that surpass anything on the market; and ESET Dynamic Threat Defense, a tool that provides off-premise cloud sandboxing, which leverages machine learning and behavior-based detection to prevent zero-day attacks. ESET also says goodbye to ESET Remote Administrator and hello to the all-new ESET Security Management Center, an enterprise-grade server that provides visibility management and reporting across all operating systems. All of ESET’s enterprise solutions integrate seamlessly into this single pane of glass and allow for visibility into threats like zero-days, APTs and botnets while also making adjustments to policies and configurations of endpoint security products seamless and easy. ESET’s enterprise solutions are built by cybersecurity experts and backed by machine learning. The use of machine learning to automate decisions and evaluate possible threats is a vital part of ESET’s approach – but it is only as strong as the people who stand behind the system. Human expertise is paramount in providing the most accurate threat intelligence possible due to threat actors being intelligent opponents. ESET’s endpoint products contain a cloud reputation system that feeds relevant information about the most recent threats and benign files. ESET’s reputation system, ESET LiveGrid®, is made up of 110 million sensors worldwide and verified by research & development centers, which allows customers to have the highest level of confidence when viewing information and reports within their console. ESET will be demoing its new enterprise suite for the first time at RSA 2018, booth 1401 (South Expo). 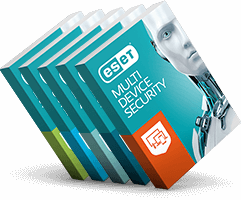 Visit eset.com/us/rsa for more information.